Looking to grow your business in 2019? Coaching and consulting from Sheila Skolnick Worldwide can help. When it comes to offering substantive business coaching and consulting, there is no substitute for experience. We have over thirty years of experience in business and know what it takes to build a large enterprise from the ground up. Without any money or connections, Sheila Skolnick (our founder) started a business that was later sold to a six billion-dollar company. We hold various certifications and have a prodigious array of experiences and successes from which to draw knowledge. Our experience sets us apart, allowing us to meet and exceed client expectations. While many business owners fret about the cost of hiring a consultant or coach, smart ones understand that it is an investment that can pay off exponentially. If you consider the experience and track record of a highly successful consultant or coach, you will realize the multitude of ways they can be useful for business growth, operational efficiency, and overall success. The value we bring to you through business advice far exceeds the reasonable prices we charge, and we stand behind it 100 percent. 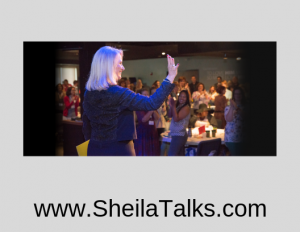 Sheila Skolnick Worldwide offers many different services, such as: motivational speaking, leadership training, coaching, executive coaching, workshops, meeting facilitation, mastermind groups, and panel discussion experts. For conferences and events that require speakers and presenters, Sheila speaks about her business principles for success, how she built her hotel supplies empire from the ground up, and how other business owners can avoid the pitfalls that can stunt the growth of a business. While speaking and business consulting are the main focus of our business, it is our level of client communication that sets us apart. We believe in listening to understand the unique issues, challenges, and goals of each client with whom we work. Our process is designed to help business owners move forward in the right direction, and we will work with you until success is achieved. Consistency, communication, and professionalism are hallmarks of how we operate. Are you ready to unleash the true potential of your business? Is it time to take action and move forward toward your goals and dreams? Sheila Skolnick Worldwide can help. The mission of the Sheila Skolnick Worldwide company is to teach and train others how to have a successful business so they, their children, and their employees can have a better life. Our promise: No excuses, only solutions! We look forward to speaking with you soon. Give us a call or text for a free consultation at 631-875-1555.